With London prices continuing to rise, the commuter belt is getting ever wider and many people are finding a happy haven at Oak Tree Place, Bovis Homes' superb development in Hedge End. At Oak Tree Place residents are not only less than 15 miles from both Southampton and Portsmouth, these new homes in Hampshire are within commuting distance of London. The three, five and six-bedroom properties at the Hedge End development boast good sized rooms and gardens, and come with a full specification of fixtures and fittings, including kitchens complete with cooker, hob, dishwasher and washing machine, and luxury bathrooms of stylish white sanitaryware. The large and attractive properties represent excellent value for money and are perfect for those looking for a retreat from urban life, while staying close to some great amenities. Lisa Ley, Area Sales Manager at Bovis Homes, said: "With London prices forcing more and more people out of the capital's housing market, it is understandable that homes in the quieter and more affordable areas in the South are experiencing an increase in demand. "The Oak Tree Place properties present an ideal opportunity for those wanting to leave the fast-paced urban life behind without compromising on the style and modern comforts you often get from city living. All designed, built and finished to the highest standards, the homes give residents more for their money." Hedge End and the surrounding area offer something for everyone, with the town itself boasting several large retail centres, the neighbouring West End boasting an array of high quality sports facilities, such as the new home of Hampshire County Cricket Club, Ageas Stadium, and the cities of Portsmouth and Southampton providing a greater choice of shopping, dining and entertainment facilities. Those wanting to enjoy a quieter life can make the most of the peaceful countryside for which Hampshire is best known, including wooded hills, chalk streams, rivers and nature trails, as well as the New Forest, which is less than a half-hour drive away. Residents at Oak Tree Place enjoy excellent transport connections, making it an ideal place for busy commuters to live. The nearby M27 provides easy road access north-west towards Eastleigh and Southampton and south-east to Portsmouth, whilst Hedge End railway station offers direct train services into London Waterloo of less than 90 minutes. Southampton Airport is also easily accessible and offer flights to a selection of both domestic and European destinations. 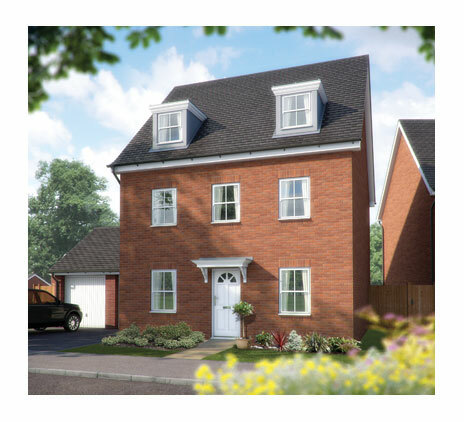 Prices at Oak Tree Place currently start at £239,950 for a three-bedroom town house. For further information, please call Bovis Homes on 0845 470 9111.